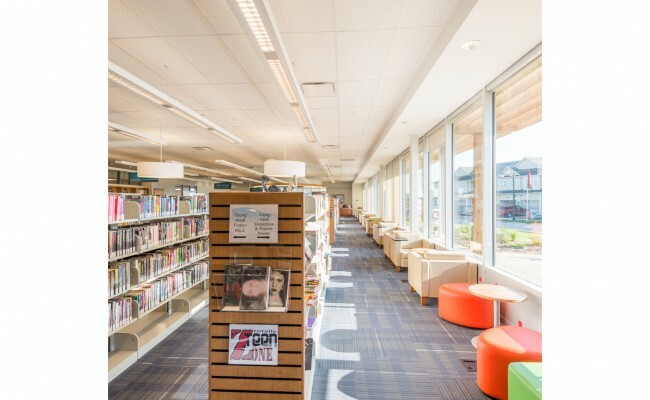 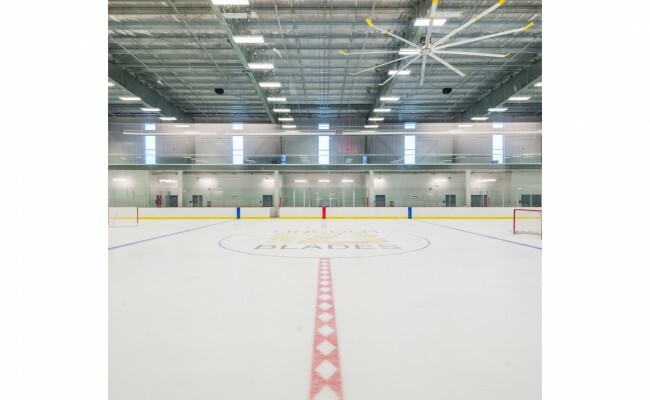 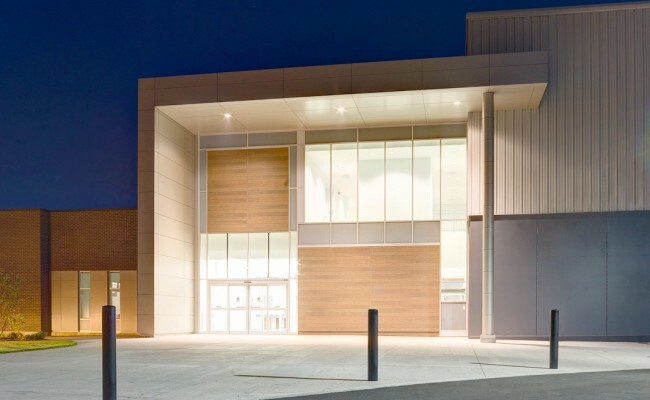 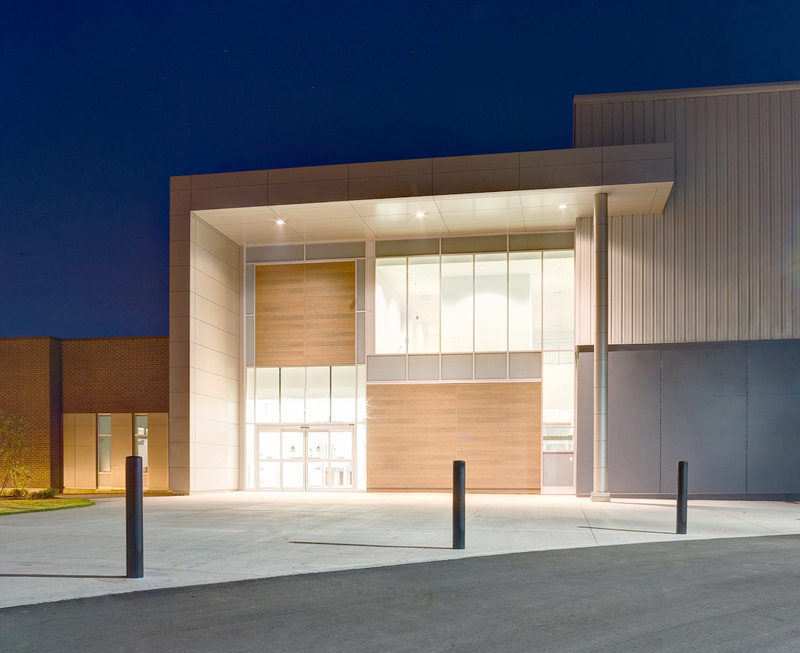 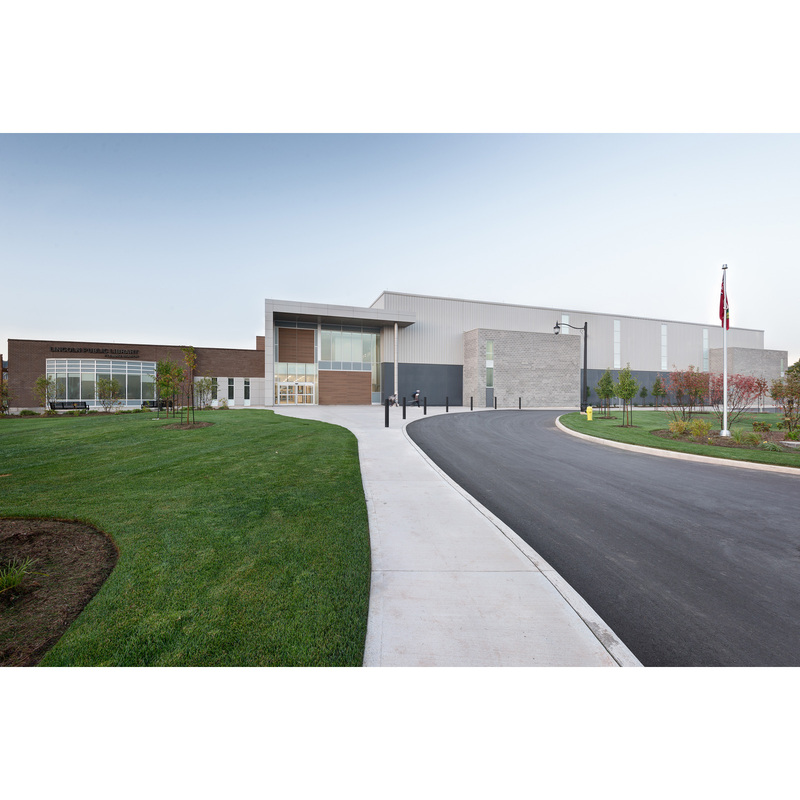 The $14 million Lincoln Community Complex is comprised of three major components; the Arena, the Concourse, and the Library. 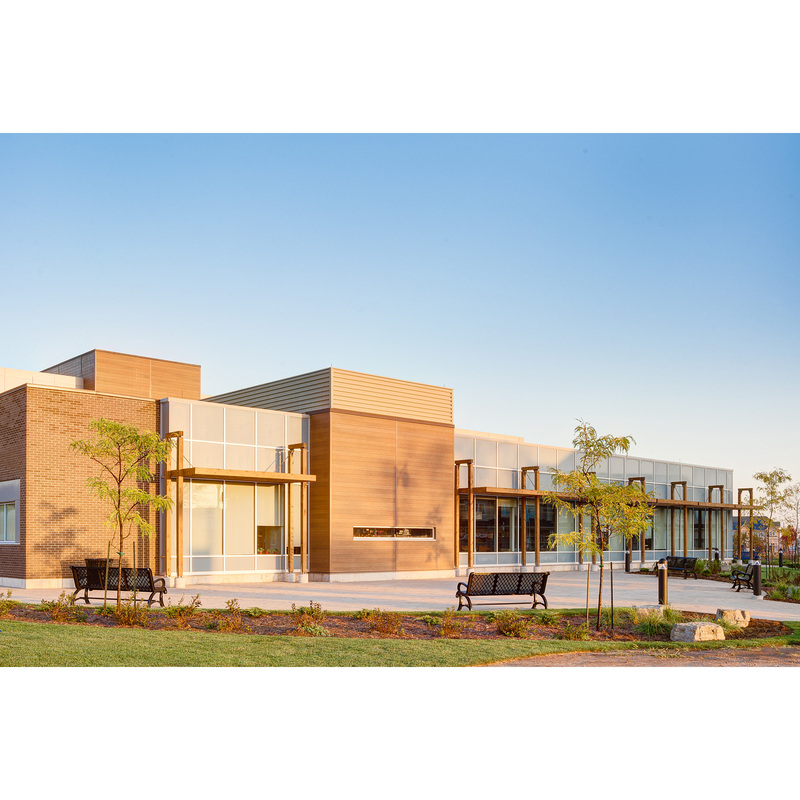 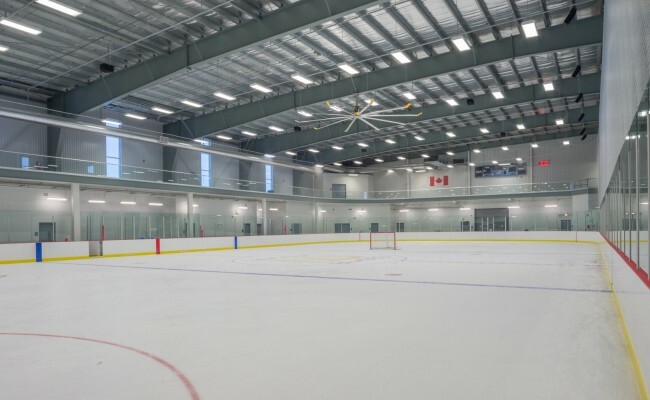 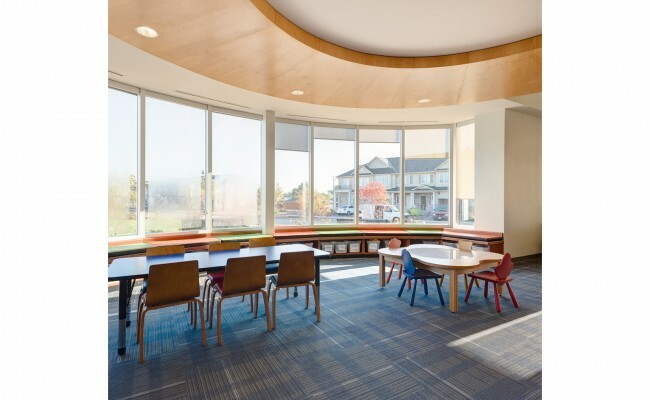 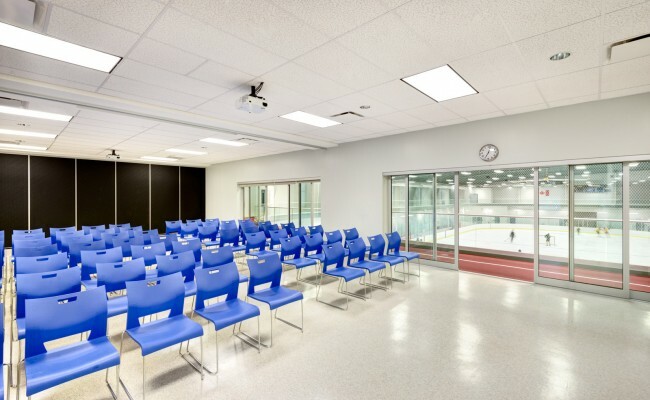 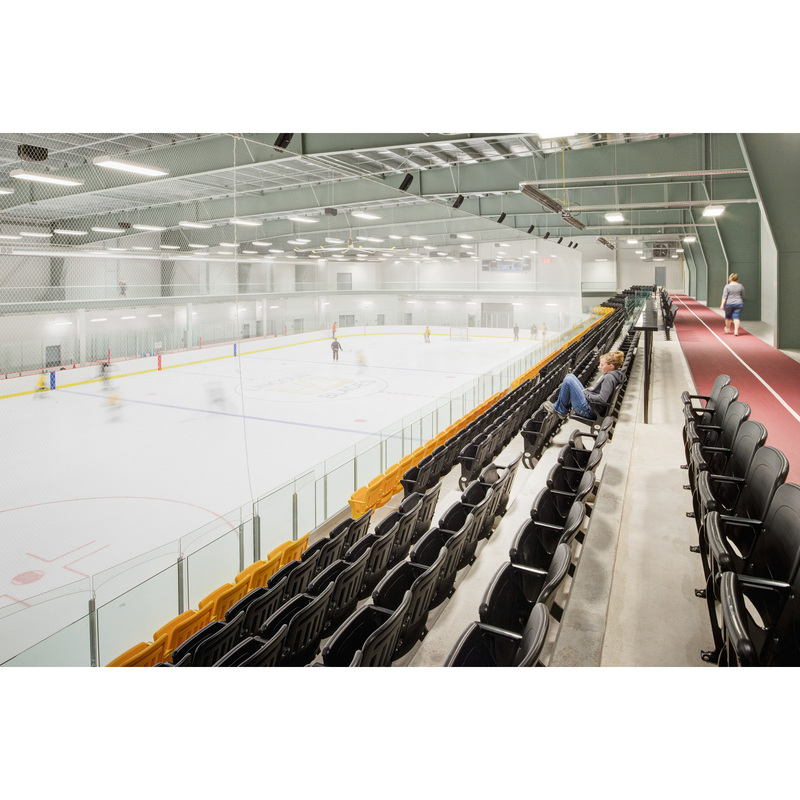 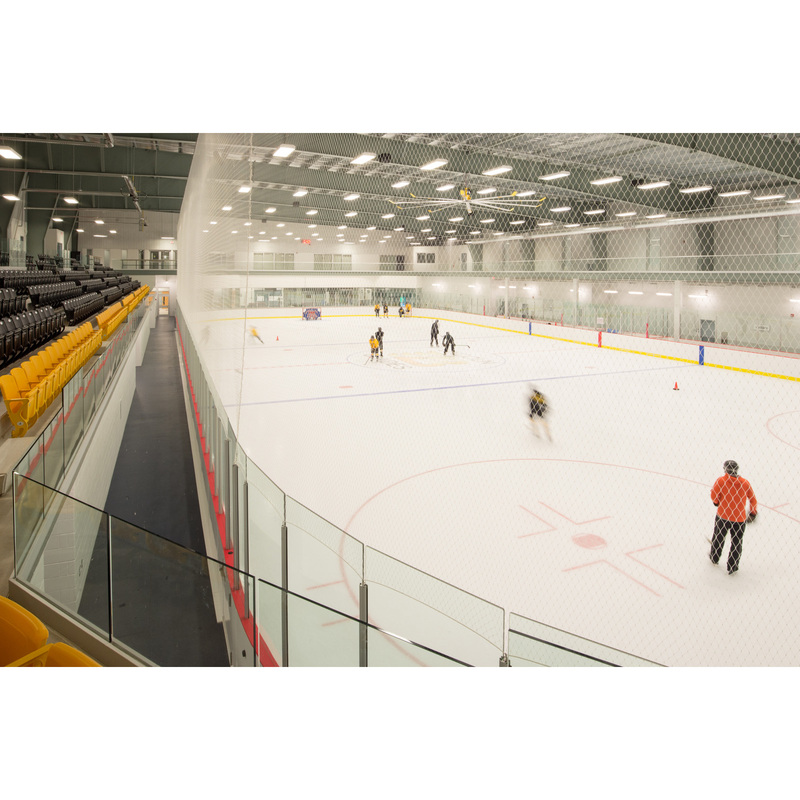 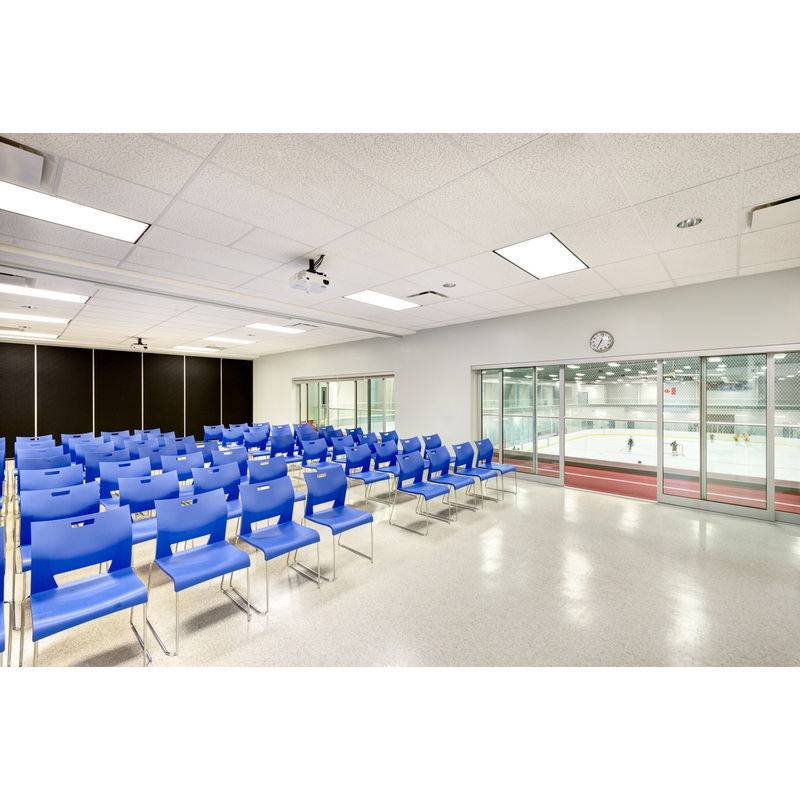 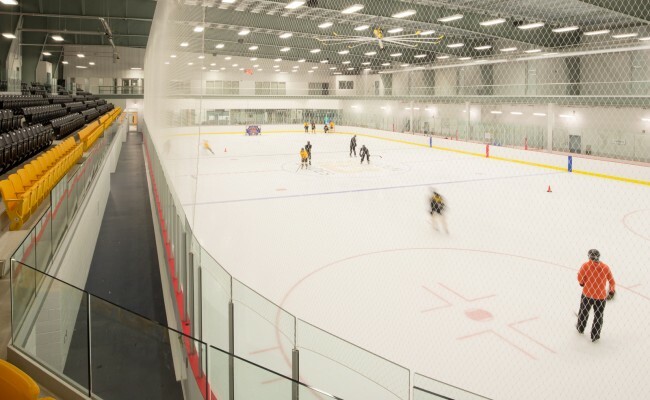 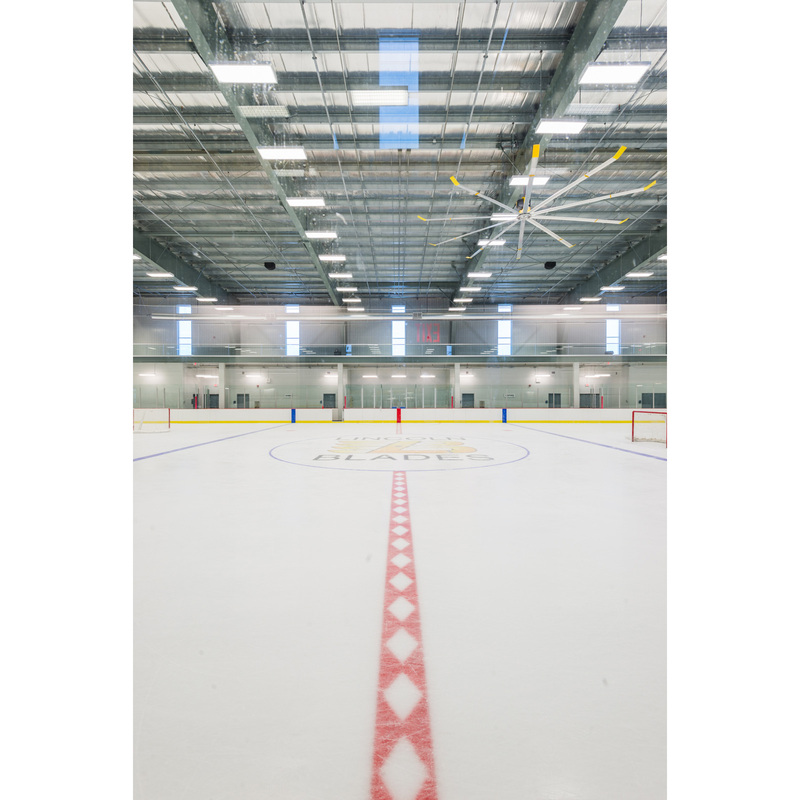 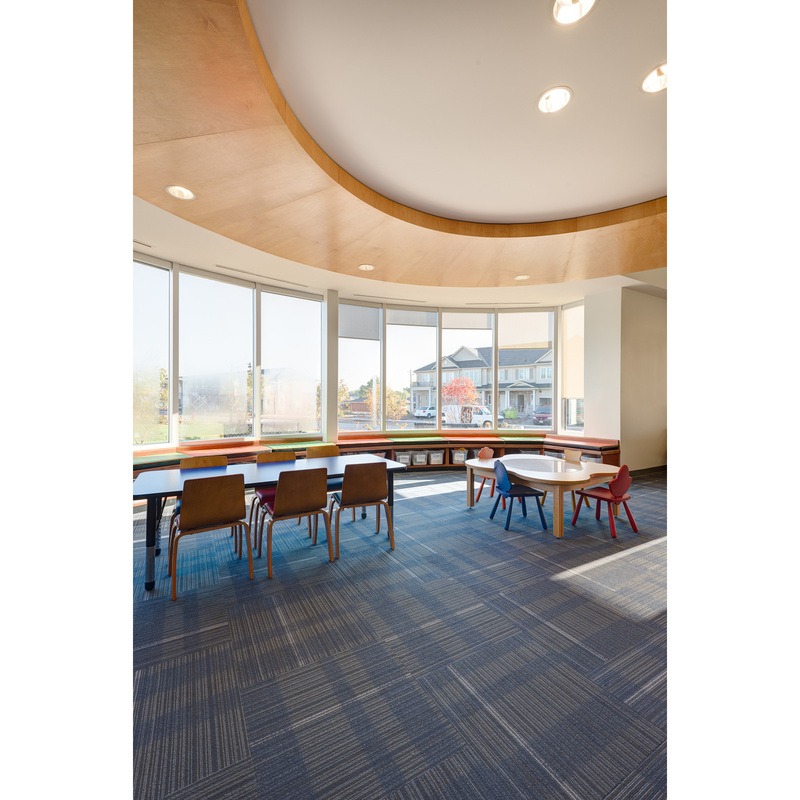 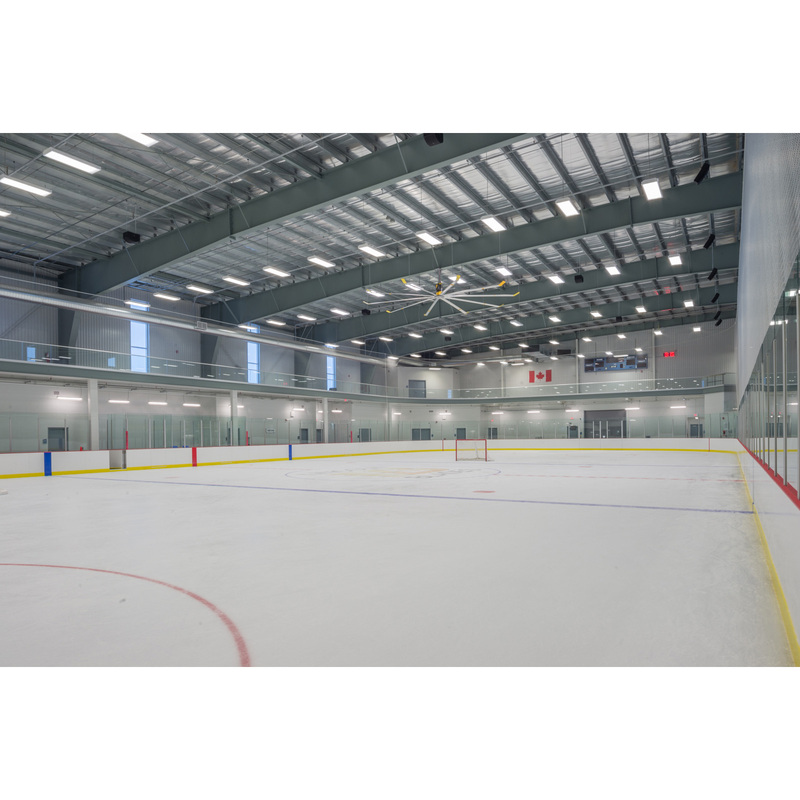 Ancillary spaces include a concession/cafe, change rooms, spectator seating, viewing gallery, community rooms and administrative offices. 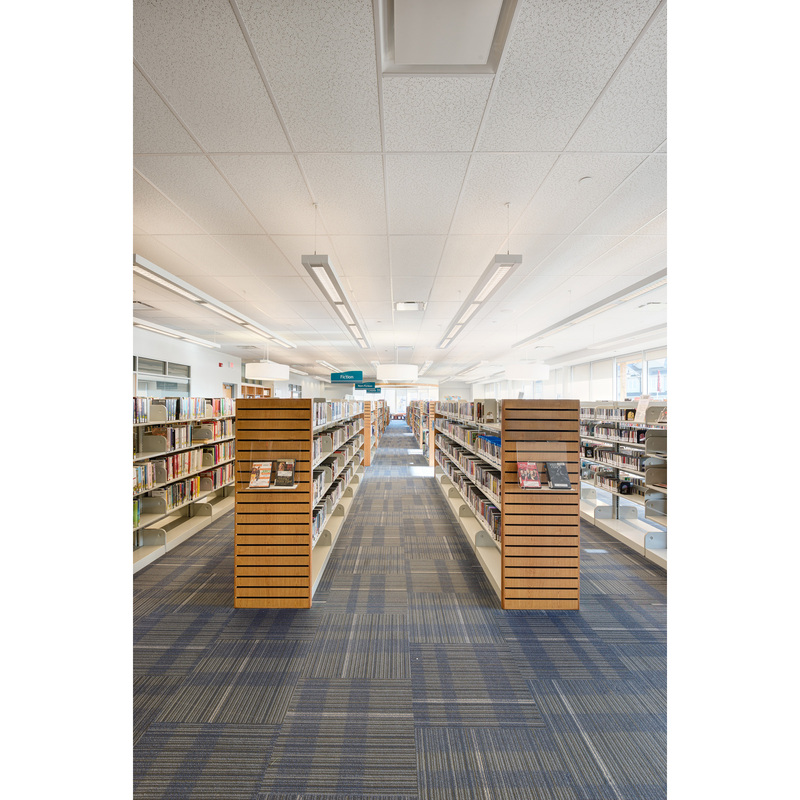 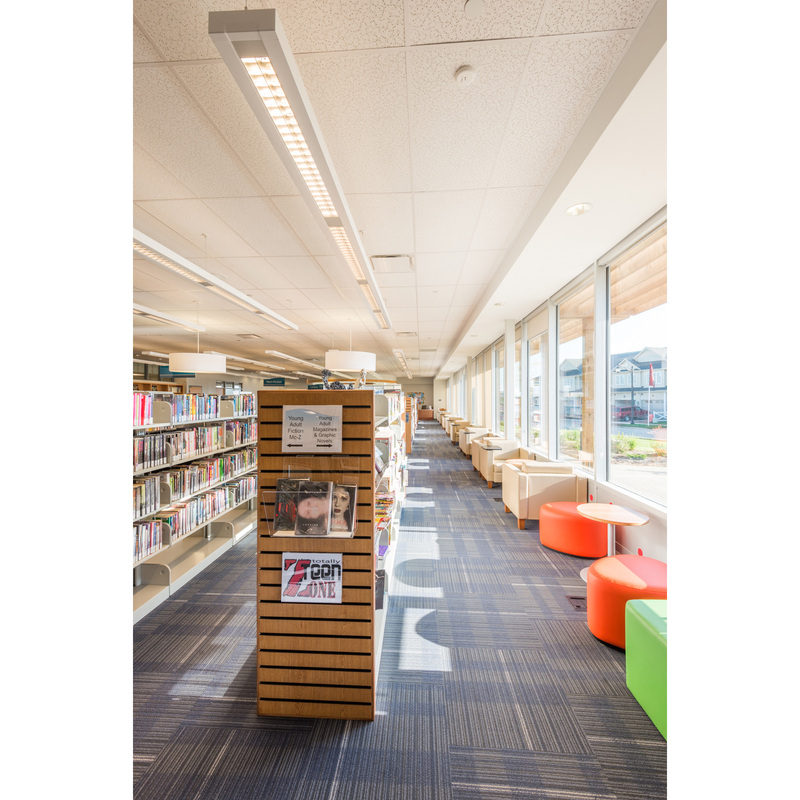 The total gross floor area is approximately 67,000 s.f., of which the library accounts for 9,000 s.f. 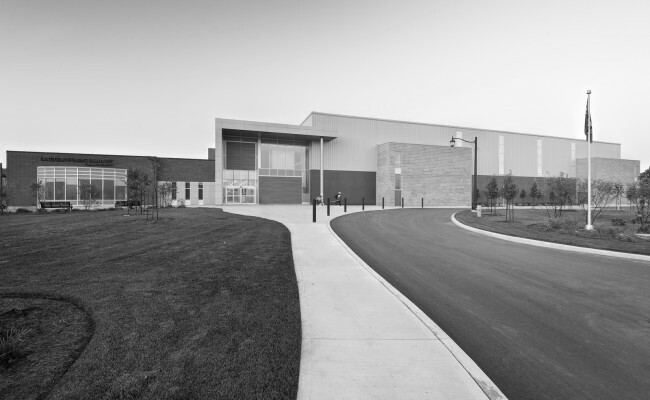 The building massing on the site represents the three major components of the complex. 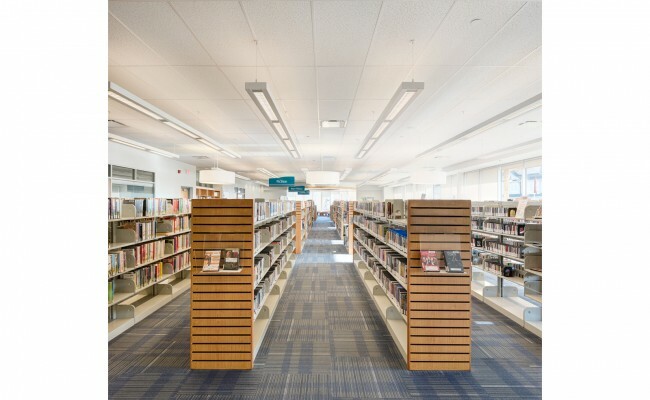 The single storey library fronts on to Serena Drive with a highly visible elevation with extensive glazing that encourages interaction with the community both during the day and at night. 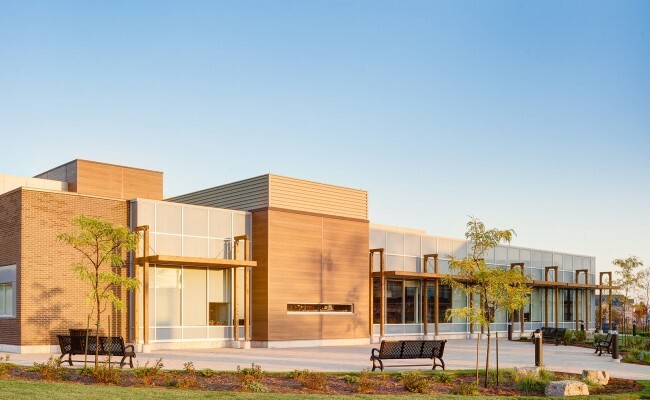 The view of the east elevation and public plaza when approached along Serena Drive from Ontario Street represents the main architectural expression, articulated with metal panel projections, masonry and extensive glazing with a continuous brise-soleil sun shade.